Identity theft used to be the type of crime most people assumed would happen to other people. But the widespread exposure of personal financial information that has occurred across the country in recent months has brought this danger to the attention of more people. But with the highly publicized theft of customer information from some of America’s largest retailers, it’s no surprise that most Americans now have a greater chance of having their identity information stolen than being held up at gunpoint. Instead of facing a pistol, Americans are being robbed by skilled hackers using cyber weapons. These on-line thieves work in nearly every country trying to steal credit, debit and other personal financial information. However, we are especially susceptible here in the U.S. because we have yet to adopt the European standards of embedded chip and PIN code for credit and debit cards. Our continued use of the magnetic swipe style of card leaves our system open to malware and hacking. Cyber thieves who capture your personal information sell this data on the black market or use it to make purchases. For the most part these crooks remain anonymous and difficult to catch. 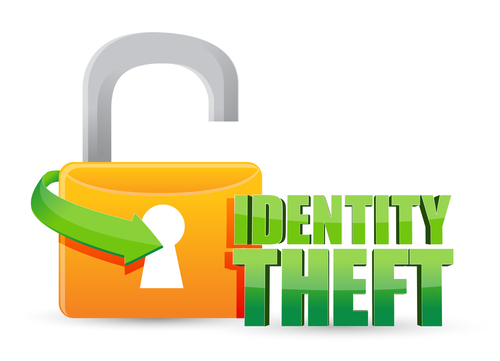 Identity theft demands particularly attention during the sensitive period when Americans are filing their annual tax returns and receiving tax refunds. In 2010, tax identity theft accounted for just 15 percent of the Federal Trade Commission’s identity theft complaints from consumers. But in 2011 it made up 24 percent of the overall identity theft complaints. Just two years later, in 2012, tax identity theft accounted had blossomed to more than 43 percent of identity theft complaints, making it the largest category of identity theft complaints by a substantial margin. Be wary if someone asks for your Social Security Number (SSN). The IRS uses your SSN to make sure your filing is accurate and complete, and that you receive any refund you are due. Identity theft can affect how your tax return is processed. The IRS doesn’t start contact with a taxpayer by sending an email, text or social media message that asks for personal or financial information. If you get an email that claims to be from the IRS, do not reply or click on any links. Instead, forward it to phishing@irs.gov. Pay close attention to any IRS notices. If someone uses your SSN to get a job, the employer may report that person’s income to the IRS using your SSN. When you file your tax return, you won’t include those earnings. IRS records will show you failed to report all your income. The agency will send you a notice or letter saying you received wages but didn’t report them. The IRS doesn’t know those wages were reported by an employer you don’t work for, or even know. If you think someone used your SSN for a tax refund or to get a job, or if the IRS sends you a notice or letter indicating a problem, contact the IRS immediately. Specialists will work with you to get your tax return filed, get you any refund you are due, and protect your IRS account from identity thieves in the future. Contact the Internal Revenue Service at 1-800-908-4490. Hopefully the recent spate of high profile and widespread identity thefts will result in a higher level of vigilance and a reduction in the number and severity of identity thefts. If you have a question about identity theft, how to protect your financial information, or on any tax topic, please contact Gray, Gray & Gray at (781) 407-0300.